Wrap thin fillets or delicate fish in cornhusks, banana leaves, grape leaves, or aluminum foil -- or place the fish on top of the foil. 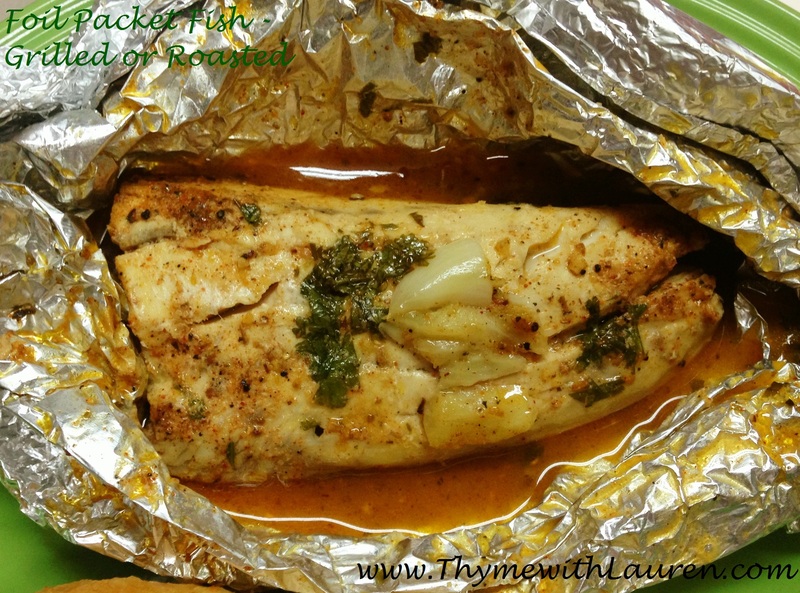 Place parchment paper between fish and foil to help prevent sticking.... The nice part about using a foil wrap for cooking fish is that the delicate fillet won't fall apart on your grill. And, by sealing in the packs all those flavors meld for a scrumptious meal. And, by sealing in the packs all those flavors meld for a scrumptious meal. Preheat grill on high. Line a baking tray with foil. Place the fish, skin-side down and tomato cut-side up on the lined tray and brush with the oil.